Everybody loves cars, and especially old cars. 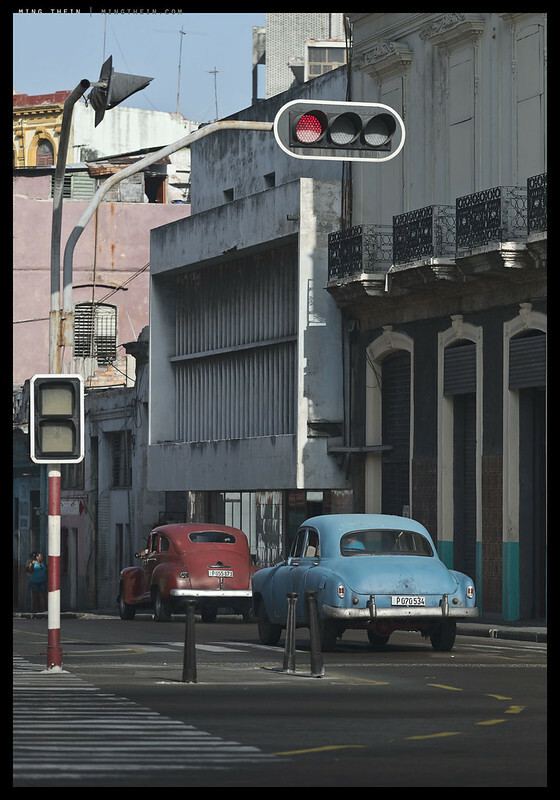 And Havana – well, it’s full of them, in various states of repair; a veritable photographic paradise. The mixture of textures, colours, shapes and an elegance of an age past make for some very interesting images indeed. 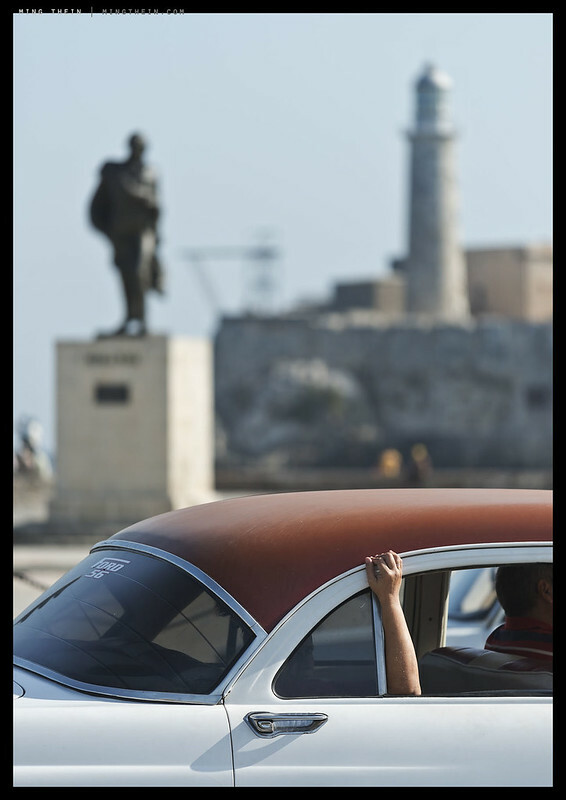 The selection of cars may appear random, but those participants who were with me on the Havana Masterclass will know that there was often quite a lot of waiting involved for just the right car to come along to complement the scene and mood. 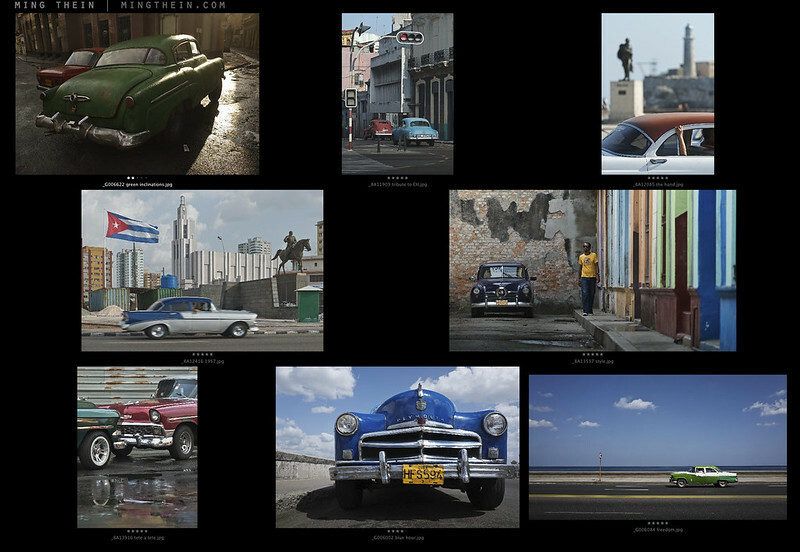 Following the success of the previous run, it is therefore my pleasure to open the next limited edition Ultraprint run for orders: The Cars of Havana. Read on for details, and to buy. 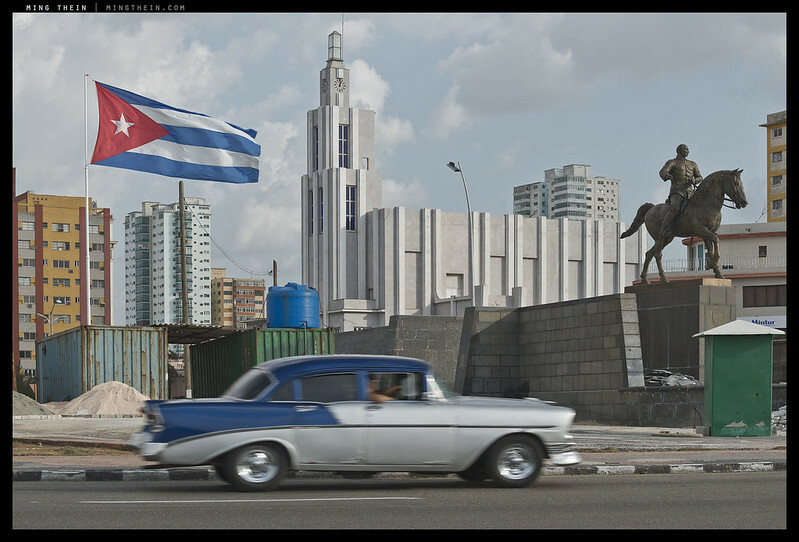 Beyond the obvious faded beauty of the cars though, I specifically selected these images because I believe that each one captures a little bit of the story and essence of Cuba: there are the obvious cars; the subtle hints at socialism/ Eastern Europe, either in the form of later cars from those regions, the architecture, or the statuary; there’s the nationalism in flags and colours. Overriding all of that is the spirit of the people: positive, happy, easygoing, intense but non confrontational – whether it be in the omnipresent drape of an arm over a window, grabbing on to the roof rails, or even the posture and position of the cars. I’ll be offering the images in two sizes again – 8×12″ or 10×15″, depending on the resolution of the source file. Prints will be limited to 30 the lesser of prints per size or whatever is sold at the close of this run, whichever is fewer – as per the previous runs. In addition, there will be 10 sets of a 8-image portfolio including all of the images and packaged in an acid-free Moleskine A3 Artist’s Portfolio for storage. I’ve decided to offer a few more this time because that was the first thing to sell out in the last run. The 7-image portfolios will include a magnifier to better examine the prints. All prints and portfolios will be signed and accompanied with a certificate of authenticity. We’re using Canson Infinity Platin Fiber Rag baryta and Epson Ultrachrome inks with 100+ year longevity; print master Wesley Wong of Giclee Art will be once again be responsible for the printing, with yours truly performing final QC on signing. For more information on the Ultraprint process, including some high magnification forensics of the proof prints from the previous Autumn in Tokyo edition, click here. As with every Ultraprint run, these are the best prints we know how to make – no time or effort is spared in proofing and ensuring that the output is as perfect as we can achieve given current limits of technology. The impression given is one of transparency; being there and looking at the object rather than through a print at a representation of one. Tribute to Edward Hopper – this is my personal favourite from the set because of its tonal qualities that bring to mind both the era and sensation that you’re looking into a painting of the past. I cannot understand why you are still no Nikon ambassador with your “amazing images/work” yet? What do you have to do in order to become one or achieve this sponsoring program? You are not interested in (not one of your aims)? Haha, you’ll have to ask Nikon that. Probably be exclusively on their brand only, I would imagine. I’d rather retain freedom of choice and objectivity than potentially have to promote or be associated with a product I don’t agree with or don’t use…certain other brands in the past have approached me, but only on those terms. I doubt I can make a living as an artist only: shooting what I want, not what the client wants. I do the print sales, but definitely don’t make much of a living out of them. PS: You know i have to get an appropriate Camera system (OMD Mirrorless or Nikon FX DSLR) and learn a lot…. No thanks, they keep the rights to your images if you enter…usual greedy thing done in competitions. i just want to know if it is planned to get “all in one package/bundle” of your video/teaching workshops when all will be avaiable in the store? We do make bundles that make sense, but there’s never a buy-everything bundle because we’re always adding new videos – so go ahead and buy whenever you’re ready. The $501 bundle is the current ‘master bundle’ – add on Intermediate Photoshop and Street Photography. Compact Camera Masterclass is too basic if you’ve got the rest, and the Leica Monochrom video is very camera-specific. Outstanding images here Ming. High quality work once again. Ming, awesome photos, I would like to order a print but I am really interested in ordering a print from your November run. After reading your blog posts on printing in ultra, and how hard it was to get the print of the “The Forest” right, to make you feel like your there when your looking at it. Well I would like to own it, I am sure there are others like me. Would it be possible to reprint “The Forest” in Ultraprint? Thanks Tom. Past runs are closed. I cannot make any more prints because I promised buyers a limited edition in time and number; if you miss it – that’s it. I don’t plan to reprint those images in that format/size again. The Forest will not make a sufficiently large Ultra, but if you want a ~8×13″ that’s certainly doable. Ming, did you use a tripod on any of these shots or were they all handheld? They are all razor sharp especially knowing you are offering them as ultra prints. Thank you. I bet the fabulous VR from the 70-200 f/4 helped in this regard! Yes it most certainly did; I think it has the most effective VR of all the Nikon lenses at the moment. You say the ultaprints “resolve at 720 ppi” – is that a rough estimate or did you calculate something to document that? Calculated and measured ability to resolve fine structures of a known size. It’s actually limited by the camera at the moment: on a 10×15″, the D800E delivers about 490DPI assuming zero cropping and perfect shot discipline. It’s nowhere near as easy to tell the difference between 490 and 720 as it is between 144 and 300; we’re really pushing the limits of our own eyes here. I love the spare, melancholy quality of these photos–very unusual. 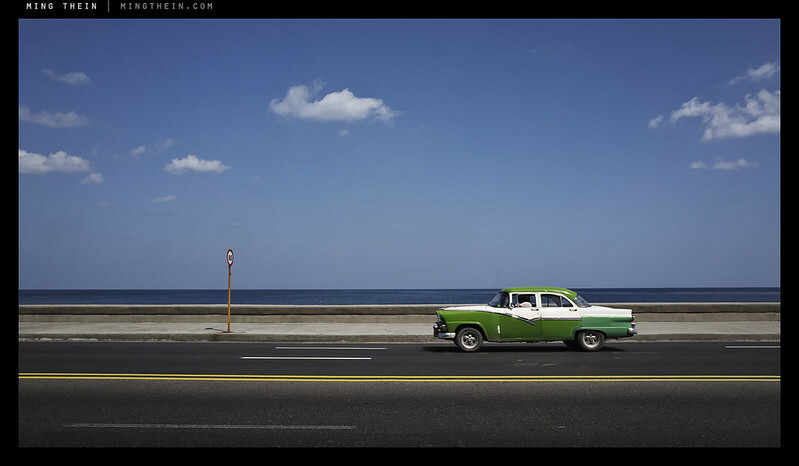 These photos of cars in Havana are not the usual, kitschy images we see of those iconic vehicles. There is a melancholy quality, due to Ming Thein’s lighting and cropping. Check ’em out. 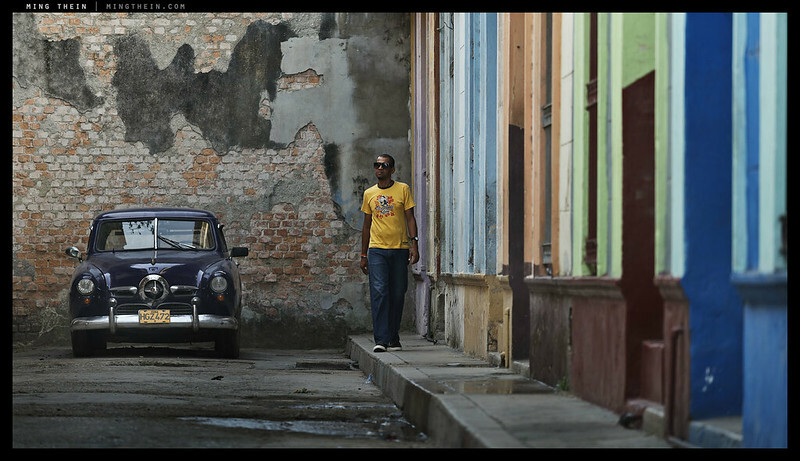 Wow…I I’d like to participate in the next Havana sojourn. Looks like a time machine. Very nice photos Ming. 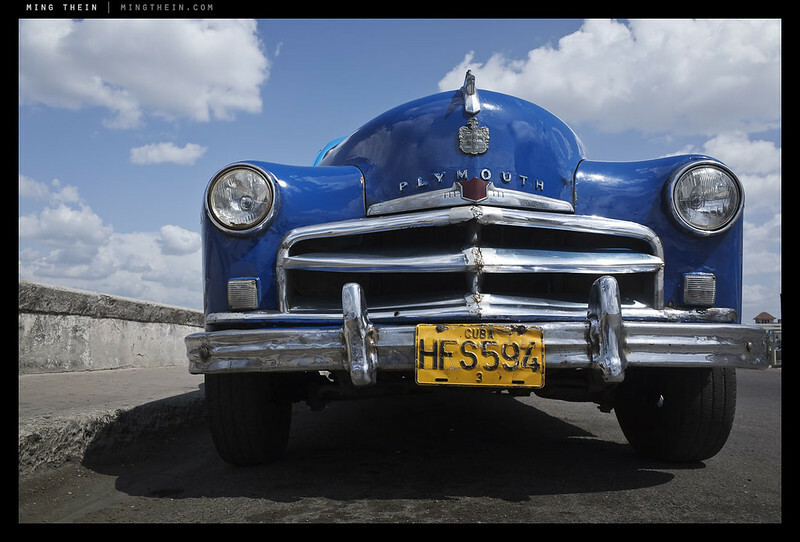 Hopefully the Fuji 50 MP Medium Format camera will be shipping so I can pick one up for the trip 🙂 Those old cars beckon Fuji colors. I remember thinking the very same when I heard the rumor that Sony was launching a full frame compact yet here we are. Non the less, a 50MP (Sony sensor from the Hassy) fixed lens camera will be released this summer according to a trusted source. Truth or Poppycock…we’ll soon see. Me, I’m pulling for it. I mean why not? How much fun would that be?!?! If one believes the rumors, then Sony are also announcing a Mamiya 7-inspired MF digital camera at Photokina … I’m pulling for both too, but I’m not holding my breath! Light, composition, and color are SO good! Well done. Curious… is the largest ultraprint you can create from a D800 file 10×15? How did you create the metal prints for the gallery exhibit? Or were those not “ultra prints”? Thanks, Ming, for sharing your great work. Thanks. Yes, 10×15″ is the current maximum. The exhibition at the start of the year was not made up of Ultraprints. I’m still seeing more and more detail in Forest II. It is a fantastic print (still need to frame it). After seeing the ultraprints, you kind of realise how substandard most prints really are. I’ll put an order in for one – need to think what appeals most to me first…. Reminds me, in some ways, of the classic Edward Hopper print: http://www.moma.org/collection_images/resized/810/w500h420/CRI_67810.jpg, … though I like a number of the photographs in this very strong set. Congrats Ming. 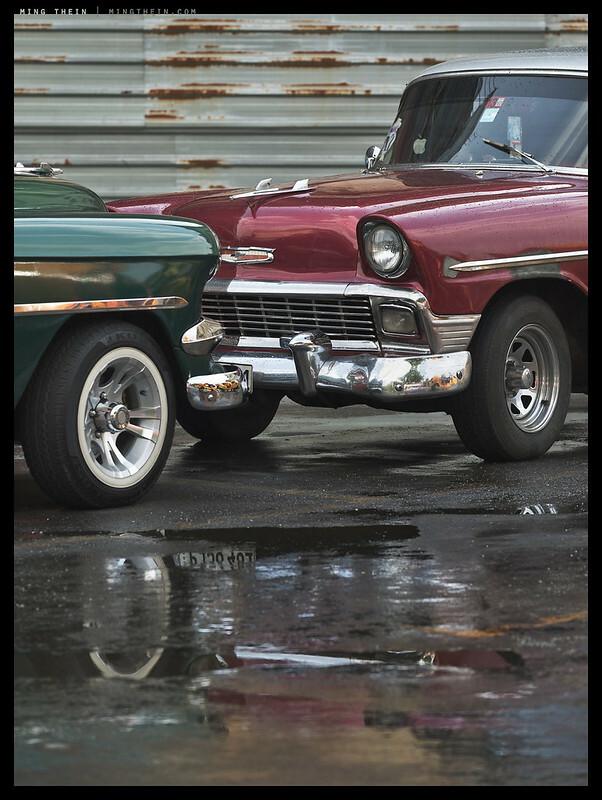 Actually, the photo you have titled “1957” is a 1956 Chevrolet. 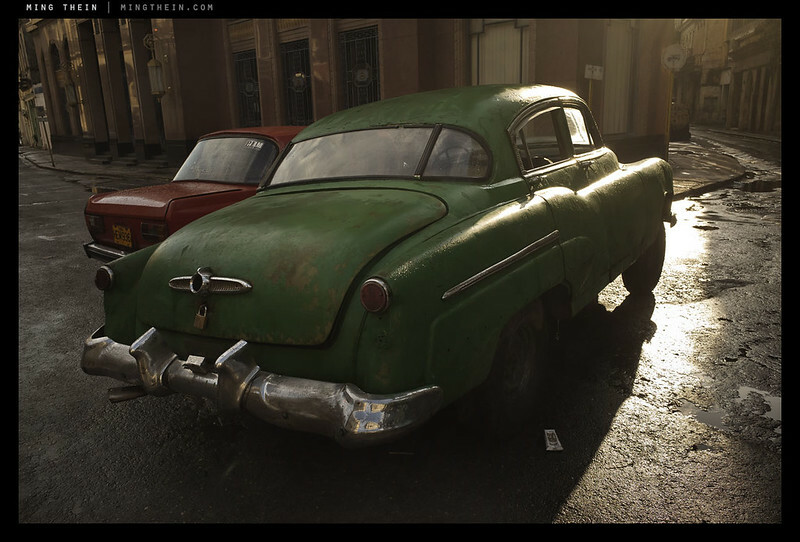 The aging fleet of cars in Havana has led to the idiomatic “cubanization”, meaning keeping a bunch of old stuff running forever, because new stuff is too expensive or unavailable.